We’re trying. 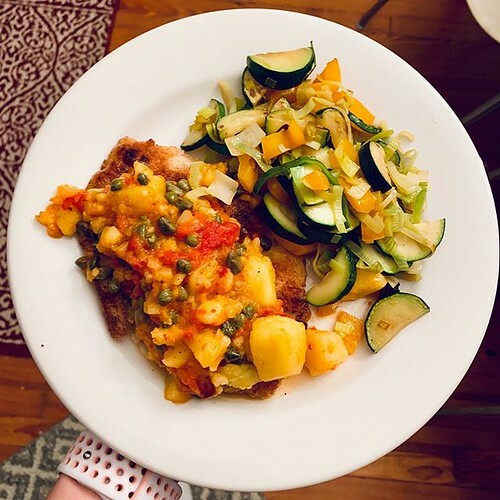 Tilapia with pineapple, capers, and roasted red pepper by CK. Zucchini, peppers, and leeks by me.